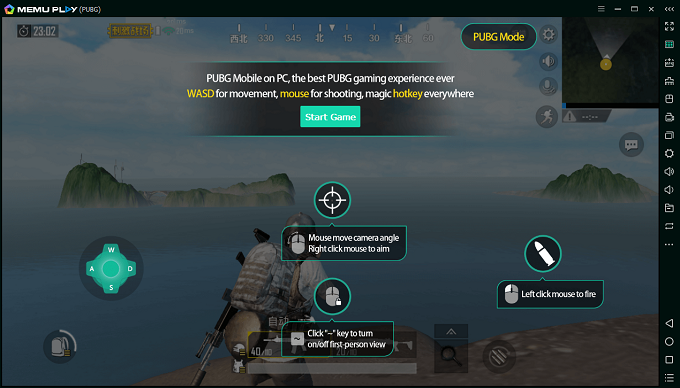 How to play PUBG mobile on PC with smart F key? Just simply install and play PUBG mobile in MEmu App Player and you are all set. PUBG Mobile from Tencent Game has risen to the top on both Apple Store and Google Play in many countries. 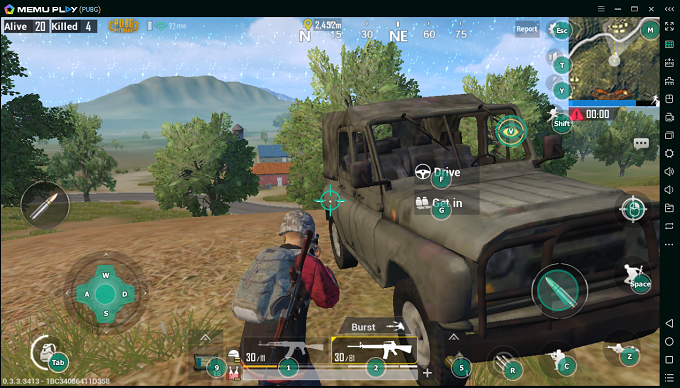 Remarkably, if you know PUBG, this version is close enough that you have transferable skills and knowledge that will work in the mobile game. It’s instantly familiar and easy to get into, and the Battle Royale concept remains as compelling as ever. If it feels a touch jerky or somewhat rough and ready, MEMU Player is the very right thing you need. 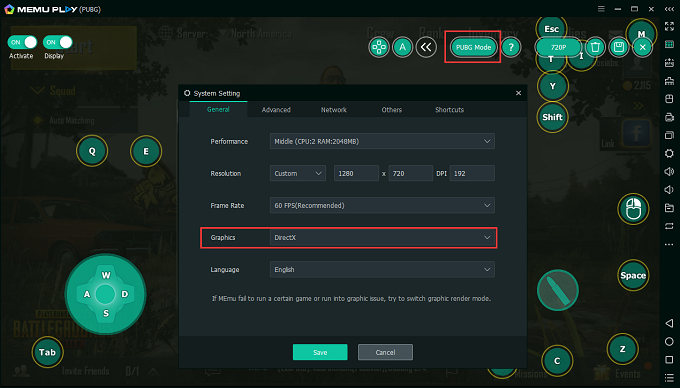 Since version 5.2.0, there is a dedicated PUBG keymapping mode in MEMU Player. It’s designed to provide you the best PUBG gaming experience ever. The unique PUBG keymapping mode supports smart F key (in fact more than F) to achieve the exact same gaming experience in original PUBG game. For example, press the single F key to pick up weapon, open door, drive car or even jump parachute, the coolest thing is the F key will just appear and disappear at the very right place at the very right time. Not only F key, but also Tab for bag on/off, M key for maps on/off and etc. 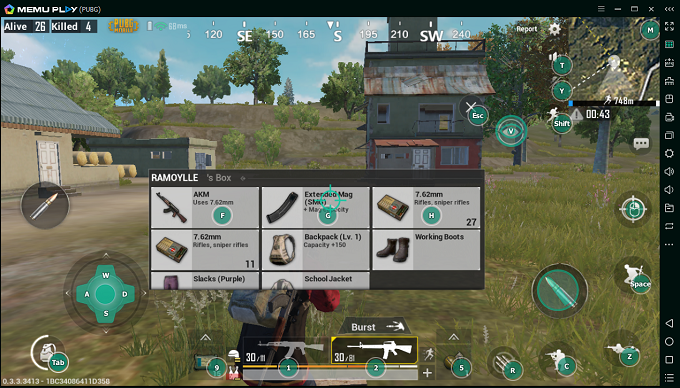 The PUBG keymapping mode will be triggered automatically once you enter into PUBG Mobile. Super fancy and super easy! Just make sure graphic rendering is configured as DirectX mode, anyway it’s a default setting.